Whether we are helping people build their careers or their businesses, Express believes that hope is the foundation for a successful life. Our hope is to help the community continue to grow as we help jobs find people, and people find jobs. In addition to our business, we hope to impact the local community through the donation of time and resources. 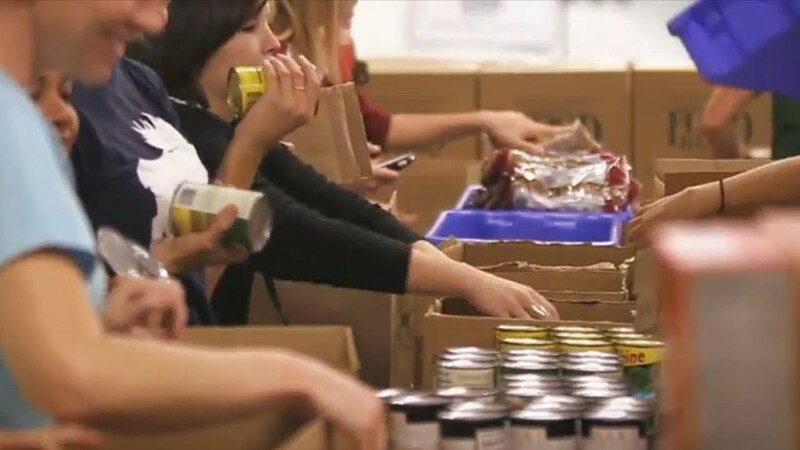 Every June, Express Employment Professionals offices from California to North Carolina to Canada joined together at local food banks and pantries to help fight hunger—a growing epidemic that impacts millions of people in the U.S., Canada and around the world every day. We partnered with the Post Falls Food Bank again this year, the projects volunteers were involved in to make a difference included: labeling and dating, cleaning and organizing, and an all-day food drive at two separate grocery stores. Thank you to the many volunteers for joining our Brand it Blue crusade, what a difference you made! This year, we were able to collect 2650 lbs of non-perishable items ranging from toiletries to peanut butter and beyond. We take our hats off to you community, THANK YOU! We would like to thank the Post Falls Pizza Hut for generously donating pizza for the volunteers, and Super 1 Foods in Post Falls and Rathdrum for hosing our Food Drive! If you would like to get involved with Express in the future volunteer opportunities, please give our office a call at 208-667-5627; we'd be honored to have you on our team. Doing Good in our communities, so proud to work with and support our local Post Falls Food Bank. Throughout the year the Food Bank serves over 2,000 families living in poverty in Post Falls. Over half of those served are seniors and the disabled who are living on a very limited fixed income. The support provided on Brand it Blue day and beyond help ensure that nutritious food baskets are received by those most in need. This is what 83 hours of combined effort looks like in a single day-check out the action!